In Racism and Technology, Michelle Wright looks at the concepts associated with "the digital divide" in which different sections of the community living side by side, exist within different social systems and therefore have access to different powers. Beryl Graham's Live from Bangalore reveals other aspects of globalization and theories of postindustrial society influencing/creating new media. Graham touches on many of the similarities and differences between India, the U.S. and Great Britain. Marc B�hlen's Time Types and Table Manners describes experiments with artificial intelligence. B�hlen explores ideas of time, machine interaction, and authorship. 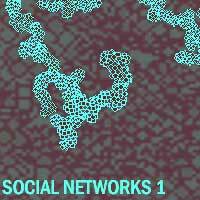 In Situated and Distributed Knowledge Production in Network Space, Geri Wittig examines issues of identity and self-organizing social networks amidst the mutable boundaries of network space. Joel Slayton's Social Software develops arguments on "how membranes enable autopoiesis in software." Slayton infers that software is social and behaves socially. Wendy Angel's IdeaConsciousness NetWorks is an obscure look at abstraction and consciousness in relationship to network theory and painting. Matt Mays looks at the role of the artist as lawyer and the lawyer as artist in Defining the Lawyer/Artist. Mays touches on some of the biggest cases to influence Information Technology. In Exclusive interviews Matt Mays, Nora Raggio, and Sheila Malone look at the role and function of individuals in progressive and ground-breaking arts organizations; Creative Disturbance, GroundZero, Bill Viola, The Kitchen. Cindy Ahuna reviews Ken Goldberg's newest book, The Robot in the Garden. Jody Berland and Rob Riddle may have opposing ideas about social interaction and the sound art scene today. In Musicking Machines, Berland looks at how machines have changed the nature of collaboration and musicianship. Riddle's Audiononlocation, argues that the internet has empowered a new kind of collaboration and exploration of sound art form. Susan Otto's Manifesto for a Virtual Favela is a haunting but sober look at art practice in the complicated mediated world we live in today. Steve Cisler, assists local community networking advocates and has lectured worldwide on the promise and the cultural challenges of the Internet and in his latest Letter from Aspen: Cultural policyfurthers his dialogue about private vs. public, culture vs nature. Examples of social network complexities can be found in our Projects section. Code Zebra is a highly interactive interdisciplinary, performance and software system where art meets science. Sara Diamond creator and developer of Code Zebra is a television and new media producer/director, artist, curator, critic, teacher and artistic director who has represented Canada and the USA at home and internationally for many years. Conference Mapping Project by graduate students Ben Eakins, Darby Smith, Minqing Zhou is an intricate web of visual representation of the contemporary academic and artistic gathering of individuals. In Electronic Disturbance Theater's Zapatista Tribal Port Scan, the participation of activist intermingles in a social network of the radical and complex political issues facing contemporary society. Tommy Alvaran's and Darren Wong's undergraduate senior project:Internetica cleanses websites from unnecessary code leaving them with a new Internetic Code consisting of X, Y, and Z values. Social & Networks is perhaps a confusing spider web of dynamic and critical ideas about art, science, and our need to make sense of it all.